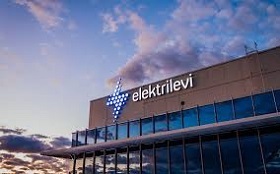 The Estonian state-owned electricity distribution network operator Elektrilevi, part the Eesti Energia group, which has on several occasions cooperated with Finnish companies in setting up district substations in Finland, has entered into cooperation agreements with one of the biggest European electric energy producers Vattenfall Services Nordic and network operator KSS Verkko for the maintenance of the automation devices constructed, reported LETA/BNS. "Starting from 2017, several our automation specialists have helped local network operators in Finland design large district substations. The two energy companies wishing to increase cooperation with us in the future was pleasant recognition for the good work of our specialists in Finland," said Sten Aan, head of international business at Elektrilevi. Last year, three 110 kilovolt district substations were completed in southern Finland with Elektrilevi's participation -- in Vantaa, Lappeenranta and Kuovola. Elektrilevi's specialists were tasked with designing and setting up the substations' automation. The task of the automation devices is to ensure a constant and safe electrical connection at all times, including in the event of an outage or failure. Automation separates the faulty part from the network and through that keeps as big of a portion of the network operational as possible despite the failure. Elektrilevi has signed a memorandum of cooperation with a Finnish subsidiary of Vattenfall, one of the largest energy companies in Europe. "Essentially it means that Vattenfall and Elering operate as partners in developing Finland's electricity network," Aan said. The second agreement, which Elektrilevi entered into with network operator KSS Verkko, is a framework contract, pursuant to which, Eletrilevi is in charge of maintaining the automation devices and conducting extraordinary repairs. Aan said that in the future, in addition to cooperating with Finnish distribution network operators, Elektrilevi also aims to work with transmission network operators.